Getting our thinking caps on to help some of Scotland’s brightest brains understand, explore and innovate. 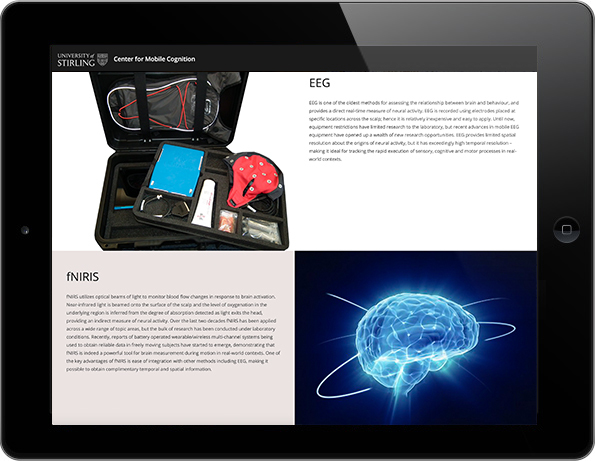 The main focus of our efforts was the creation of a series of websites and an app covering many research topics across the field neuroscience. But crucially, this was not just for an academic elite. Our online memory experiment at recognitionmemory.org may have used seriously advanced technical trickery, but it had to be accessible for all. For us the key to success was clarity, simplicity and ease of navigation. And we duly delivered. We’ve been working with undergrads and postgrads from Stirling Uni for some time now. Last year, we were tasked with delivering a series of websites and interactive content online (including an online memory experiment replicating real-life science ‘in the lab’), with the ability to store, share and analyse results both on the site and via social media. No easy task. But one we relished. 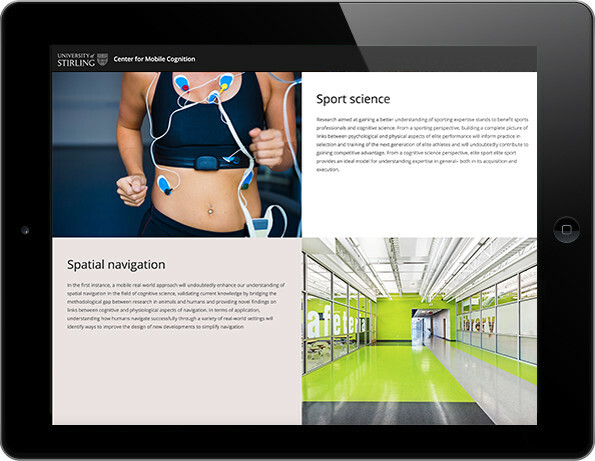 After a lot of collaboration, perspiration and dedication, our sites continue to roll out, providing a vital hub for research students, practitioners, subjects and curious types everywhere. Best of all, recognitionmemory.org allows users to share their results via social media, helping to spread the word about the vital work being carried out to a wider audience. We’re now moving on to create a bespoke mobile app, which will help undergrads better understand how to structure experiments and statistically analyse the results. Needless to say, we’re proud to be working with such bright young things...hopefully some of it will rub off!